The Kymco VIVIO is adaptable to many different situations and convenient for travel. It folds down quickly to fit into your vehicle so you can take it with you. The Kymco VIVIO powerchair is designed to give you flexibility, simple to use controls, and travel options. It can be broken down quickly and efficiently, so it can fit easily into your vehicle. So that you remain comfortable in the VIVIO, the height and width of the armrests can be changed. The footrests can be adjusted to ensure your feet are in the correct position, and you can also tweak the tension in the backrest to suit your specific requirements. The swing away joystick control works like a charm. This convenient feature is to give you less interference when sitting at a table or office desk. A travel distance of up to 20 miles is achievable thanks to the 36 a/h batteries and twin 250-watt motors; they also help when turning within a small space. Although the VIVIO is built to a high-quality as standard, there are still many extras that can be added. These include a folding tension backrest, all-round puncture proof tyres, or a kerb climber. 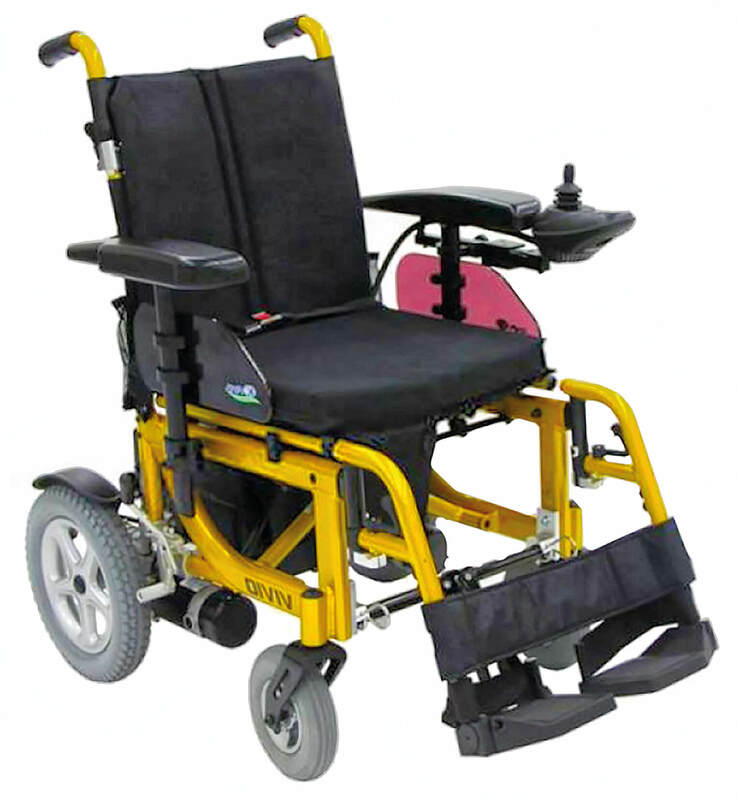 An excellent multi-purpose powerchair. Available in two lovely colours: Golden lemon and Metallic Mink. If you’re interested in the Kymco VIVIO or any other of our powerchair range, please call us on 02392 255600. Alternatively, pop into one of our showrooms in Waterlooville or Torquay.